Jim Keary has 45 years of management, consultancy and engineering experience with expertise in the areas of water and sewerage utility management and operations, asset management, water resource investigations and entitlements, operational and technical reviews, institutional and contracting arrangements, capacity development of water institutions, regulatory and pricing studies, water economics, technical regulations and strategic advisory assignments. 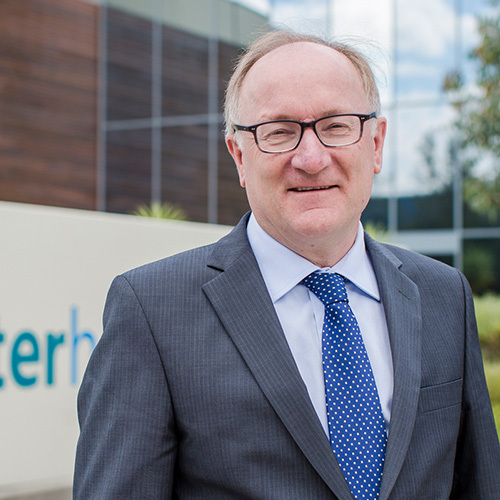 Jim is Senior Fellow of Hunter H2O and past Managing Director of the company whom formed and led Hunter Water Australia for 17 years as a subsidiary of Hunter Water Corporation. He is a specialist in understanding the decision making frameworks for many facets of water management and bringing together the economics, technical, social, environmental and regulatory factors underpinning them. Jim was part of the small management team that reformed the water sector in Victoria during the 1980’s under the leadership of Australia’s prime water reformer, Dr John Paterson. Achievements included consolidating 385 public water and sanitation authorities into 22 commercial enterprises, turning a subsidised sector into a net contributor to Government revenues, creating and implementing a world-class system of water entitlements, pricing and regulatory reform, commercial institutional reform and enacting unified water legislation. Jim has worked extensively over the past 25 years on a broad range of specialist asset and utility management and technical assignments in a dozen countries including USA, Canada, Guam, PNG, Fiji, Myanmar, Yemen and New Zealand. Jim is credited with taking modern water asset management practices to the USA and Canada and is recognised internationally for his achievements in capacity development of water utilities in developing countries. Since stepping back from the Managing Director role, Jim has recently lead successful assignments for DELWP on Dartmouth Pondage fishery arrangements, environmental water charges, led the development of a narrative for catchment management and was the expert advisor to the Toolondo Fisheries Advisory group. In addition Jim has just recently completed a strategic review of progress and the potential commissioning and ownership issues with the new US$700million water scheme to supplement water supply to the 2.8 million people in Kathmandu. This assignment resulted in a workshop and report that chartered a way forward for the Kathmandu Valley Drinking Water company and the Asian Development Bank on this challenging project.